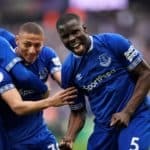 David Moyes fielded a strong line-up with just three changes to the side that won away at Newcastle and that decision was rewarded with two early goals. 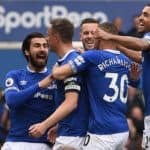 Nikica Jelavic opened the scoring after 12 minutes and Leighton Baines doubled Everton´s lead seven minutes later from the penalty spot. 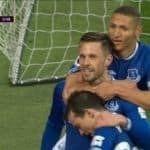 Leon Osman made it 3-0 early in the second period and, after Russell Penn scored pulled one back, Seamus Coleman and Marouane Fellaini completed Everton´s nap hand. David Moyes´ side will now visit the winners of next week´s Sunderland-Bolton replay at the Stadium Of Light in the fourth round.